Looking to improve the way your child sleeps? Let them enjoy a more restful sleep with any of these recommended best mattresses for kids. Whether it is a feature made for growing children or a waterproof barrier for nights with accidents, investing in one of these products gives your child a better sleep life when they’ll need it most. You’ll only need one of these children’s mattresses for a couple of years. According to a study published in Frontiers in Human Neuroscience, brain scans on children with sleep deprivation reveal that a lack of sleep damages the brain. Restriction by four hours a night found some bad signs which include an effect on the myelin coating of nerves known to develop the mind. As a general rule, disrupted sleep for any reason may hurt adaptive mechanisms. What does this mean to you? Your child’s long-term memory might be altered and the lifetime effects of sleep loss have only been postulated. Optimise your child’s brain health with the right amount of sleep. 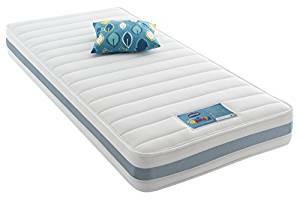 If you are looking for a kids mattress to buy for using throughout this critical growth stage of life, then choose one of these options. Any one of these single mattresses for kids from this list will satisfy your family as your child moves through the toddler years and soon enough will graduate to a full-size bed. Remember – all of the recommendations on our reviews of the five best kids mattress are short in length. Be sure you know the length requirements of your child’s bed before making a purchase. Make a change that helps your child sleep better at worst and benefits his or her spine at best! When your child needs a recommended nine to eleven hours of sleep a night, it might as well be a comfortable night’s sleep! Worried about figuring out the right kinds of coils for your child’s mattress? You will likely run across an innerspring mattress, either in an open or closed coil. 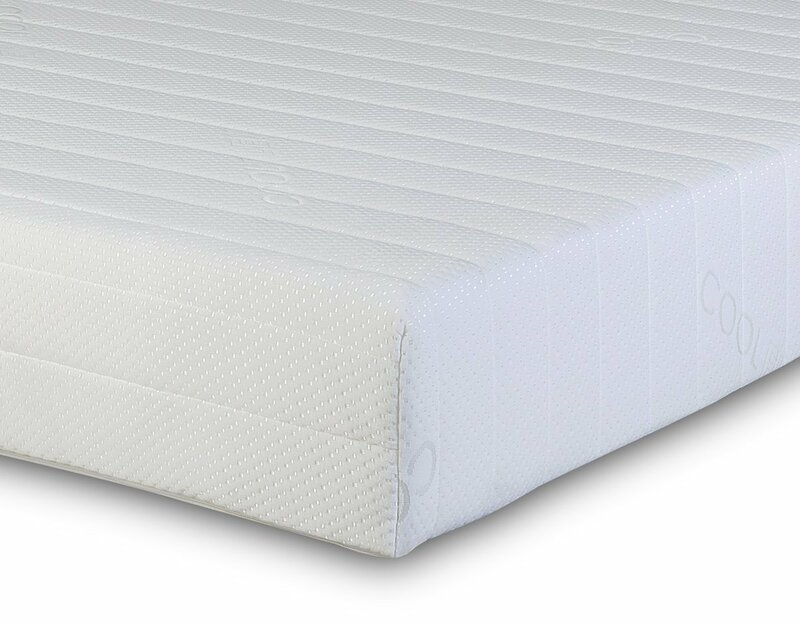 An open coil innerspring mattress is suitable for families focused on pricing and does not wear out because of the weight of a young child. 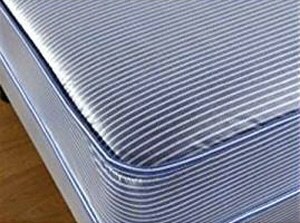 A pocket coil mattress may be more expensive but with coils wrapped in fabric, it contours your kid’s spine well. Another option growing in popularity to consider for future mattress purchases is memory foam. The polyurethane material in memory foam is sensitive to your temperature changes and keeps you fresh. It relieves pain from pressure points but tends to be quite expensive. It is easy to get overwhelmed by the options in a home décor store. When you have too many options to choose from, narrow down the selection by considering essential factors. Buy the correct size. Around the age of two or three, a child might transition from a cot bed mattress and into a child’s bed. This is a smaller size than a child has after the age of seven or eight years old. Check out the materials used in the product. Especially in cases while your child has allergies, make sure the materials used in the construction of the mattress match your needs. Synthetic elements are not necessarily wrong to purchase, just be sure you know about their uses. Focus on support for the spine. When your child is growing, they’ll need help for the spine. More than firmness or softness, ask about the springs used in your childs new mattress. Pocket coils work independently of one another and are more comfortable. (As a general rule, back and side sleepers do better on a firm bed). Decide on durability. Accidents happen with kids, and no matter what they do, a kids mattress needs to stand up to a little jumping. For young toddlers, a waterproof cover may be necessary. Build on a foundation. There are two general types of beds, those with wooden slats (platform bed) or those that are box springs. In the majority of cases, toddler beds have foundational bed frames (platform) that do not need box springs. Save money with this choice! What Level Of Firmness Does A Child Need? Kids mattresses tend to be less firm than others. When your child’s spine is growing, a bed needs to be comfortable but durable. Paediatricians recommend mattresses for children with firmness to encourage spinal alignment. A mattress with a strong core retains its shape and may even promote bone growth. If your child is a one-side sleeper or sleeps on their back, then a soft mattress will likely be more comfortable. If your child sleeps on their stomach or moves around on their sides, a firmer mattress should be better for sleep. Remember, a firm mattress keeps the spine steadier at night. Does Research Support A Good Mattress? There are numerous scientific studies conducted concerning sleep, age, development, and other factors. The data indicates that children need the right amount of sleep for their health and development. For example, research suggests less sleep is associated with a higher body mass index in children. Children who get more sleep have fewer risk factors for Type 2 Diabetes, and older children have a different natural sleep cycle than younger ones. A low-quality cheap mattress without the support your child needs causes soreness, fatigue, and may not be able to focus on school because of exhaustion. Just like the story of Goldilocks and the three bears, you might need to try a few options before your child finds what is right! The National Sleep Foundation says that the average preschooler (that falls between three to five years of age) needs no less than 10 to 13 hours of sleep while a school-age child up to 12 years old requires 9 to 11 hours a night! Your child deserves top quality goods when sleeping while bones knit together and the brain recharges overnight. 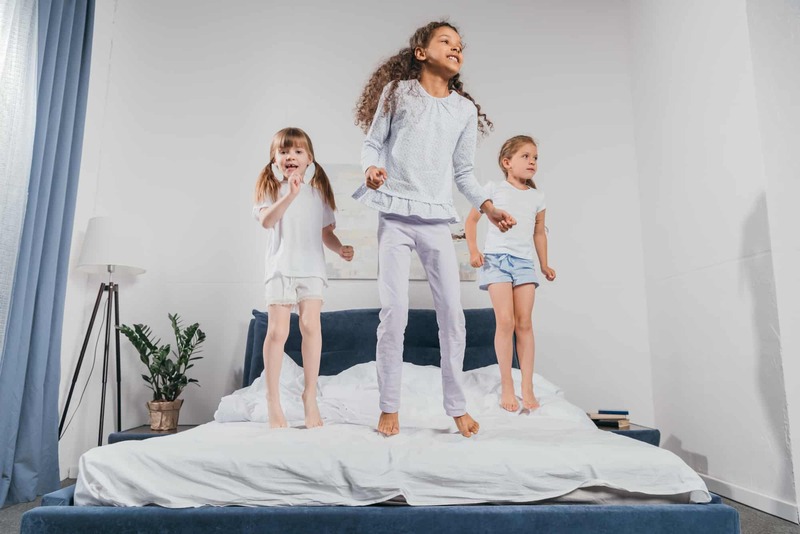 After scouring the marketplace for the best kids mattress in 2019, below are our five official recommendations for your family’s needs. Not only us but also purchasers highly review all of our choices. The Silentnight Healthy Growth Extra Comfort Kids Mattress is a best-seller in children’s mattresses because of their commitment to innovation and quality. Available in a standard size for kids or small double size, this top rated mattress is suitable for boys and girls. The Silentnight brand cares about what your child is getting exposed to, even during the night. The mattress is made of foam that is chemical treatment free. The fabric level of the mattress comes with a Purotex probiotic treatment that is approved by Allergy UK. This natural solution combats allergens in your mattresses like dust mites and pollen. As a concerned parent, it is only natural to worry about your son or daughter’s growth. With the Miracoil spring system, your child gets relief from twice as many springs for relieving pressure on your child’s back. The body suffers from real aches and pains as the bones knit together. Contribute to your baby’s growth into childhood with a Silentnight Extra Comfort Kids Mattress. Kids mattresses often are only available in soft styles which may not be your son or daughters preference. With the 3ft Pocket Spring Children’s Mattress (with medium firmness), experience one of the better options on the firmer side of the scale. This makes it a popular choice among parents who want the best mattress for kids which has a less plush and more supportive feel. Unlike other options on the market, Pocket Sprung is a company that extends a one year guarantee to its clients. You are not likely to need this warranty, but its existence is still valuable in case you need it! The mattress is made of layers. The top layer is made of double-jersey fabric, and then polyester wadding occurs right below it. The springs are supported as pocket springs, and the bottom layer is polyester wadding. 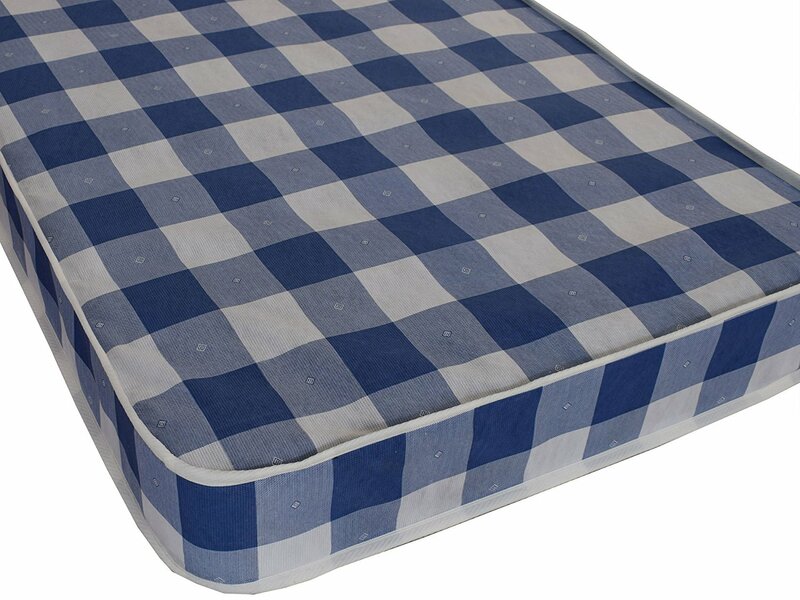 Each layer adds to the value and comfort of this children’s mattress for your favourite growing family member. Even when used as a trundle bed, this accommodates shorter people. Add a touch of flair and excitement to a bedroom with the eXtreme Comfort Basic Entry Level Kids Bunk Bed Mattress if your child needs this for his or her first bed. This short mattress that is just under one meter in length but comes in seven excellent patterns. Whether you prefer the standard blue checked pattern or the girly purple hearts, this one is compliant with all UK fire safety regulations. It is double-sided, so you can quickly flip it for regular rotation. You want a good quality product for your young tot to enjoy. This is the right mattress for you, especially if you have toddler-sized bunk beds. 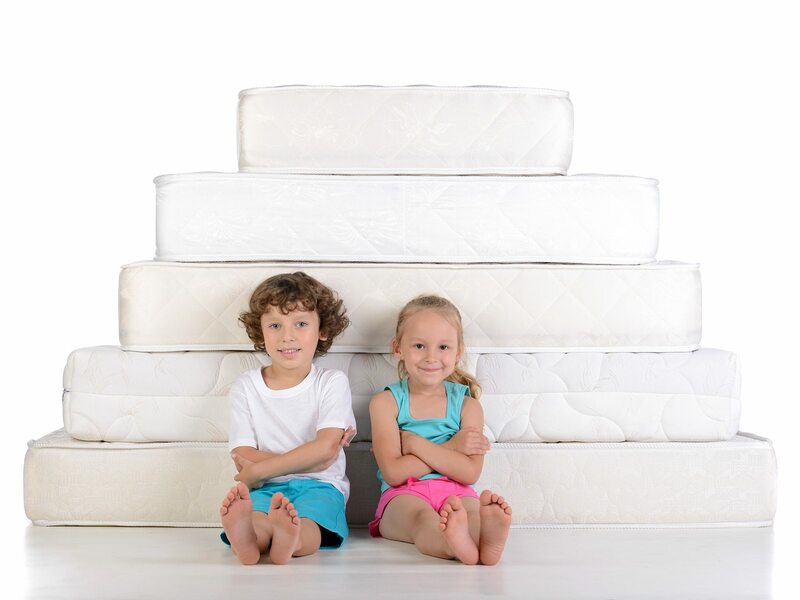 Since kids just get taller, there is no need to overspend on a high luxury mattress for a growing boy or girl. The product comes vacuum packed and rolled, so its super easy to bring into your home. It is available for delivery throughout the UK. After checking the size of your base and determining the right size for your bunk bed mattress, this just might be the right option for you. These mattresses are UK made and delivered to citizens that are looking to support in-country companies. For users committed to a classic look, a fair price, and a size suitable for a child outfit your kid’s beds with this mattress. You’ll have your eXtreme Comfort product for years! Everyone knows that accidents happen with kids, even well past years of being potty-trained. If you have a young child (or even an older one) that just needs that little bit of protection with a waterproof mattress. Also, too many parents know that waterproof products feel like plastic when you lay on them. This product feels like a mattress and doesn’t give away the telltale crinkle of a plastic mattress. 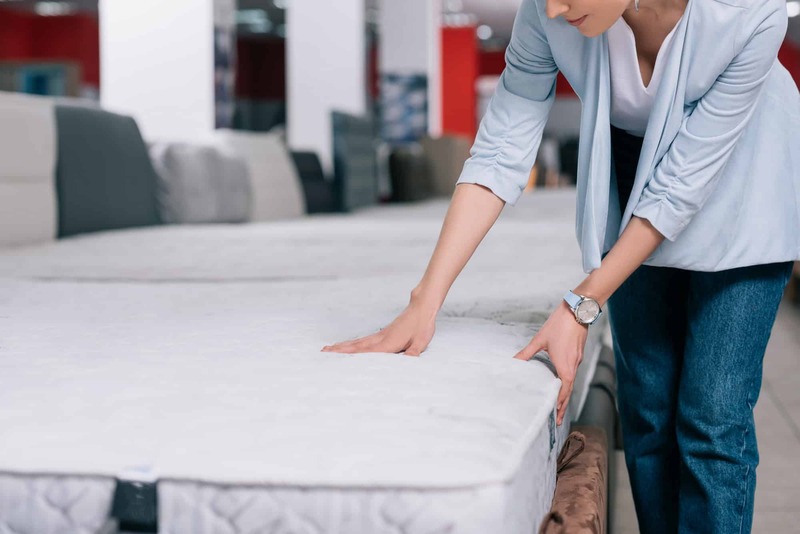 It is important to notice that the waterproof feature of this mattress is on the top and the bottom, but the seams are not entirely waterproof. It can withstand accidents though. The company says the double sided mattress works for adults, but it is only three feet in length, so it doesn’t suit most heights. Don’t forget this 3 foot (the UK Single mattress width) is about 15 centimetres thick to suit beds like cots, trundles, and bunk beds. For children, it gets the job done! Elegant Beds makes sure the quality of the waterproof mattress meets all United Kingdom fire regulations, as is required for your child’s safety. When you need a quick delivery, it might make the perfect set for your family. Are you looking for a standard UK single mattress for kids? With a three-foot-long mattress for your family bunk beds, extra homes, and even trundle beds, you stay comfortable all night. The Budget Spring Mattress by eXtreme Comfort is designed specifically for children. In fact, the blue-checked fabric of this mattress is a no-frills design that is reminiscent of your childhood vacations. Of course, this mattress is compliant with fire safety standards for the United Kingdom. There is no need to overspend with a cushion when your child needs a comfy place to sleep at night. All you need is this reversible mattress made for kids in need of an entry level bed without any frills. It is six inches in depth which is ideal for top bunks. Make sure this thickness suits your bed frame before purchasing it for your family. The box only weighs 14 kilograms which is much lighter than most options. After assessing all of the children’s mattresses on the market, it is apparent there are solutions available for many price points and purchase preferences. Mattresses for children are smaller in size than those for adults. Remember, your child will grow quickly and soon enough you’ll be upgrading it for length. Of the five options listed, our favourite recommendation for children is the Silentnight Extra Comfort kids mattress. We love the breathable airflow border that comes with it and the extra comfortable spring system they developed for spinal alignment. Anything explicitly designed for your child’s current life stage could make the difference between spinal issues and spinal alignment. If you need the best mattress for kids, our first recommendation is the Silentnight Extra Comfort. However, any of the other four options on this list are also viable solutions for your child’s sound sleep!